Mangaluru, Mar 16, 2017: When the Swami Vivekananda 3D Planetarium at Dr Shivaram Karanth Biological Park in Pilikula opens its gates by this year end, it is set to be India’s first such planetarium. CM Siddaramaiah announced that the state-of-the-art planetarium at Pilikula Regional Science Centre (PRSC) at Moodushedde on the city outskirts will be made operational before December 2017 at an estimated cost of Rs 35.69 crore. The planetarium, named after Swami Vivekananda to mark his 150th birth anniversary in 2013, will have all modern innovations coupled with 3D technology to present students and enthusiasts the best learning experience on Planets. PRSC authorities said they had sought additional Rs 5 crore funds for procuring good equipment . It is to be seen what further allocation is made by the CM now, said the authority. Already global tenders have been invited through e-procurement for instrumentation. The instruments are to be sourced from Japan, France, United States or Germany. Former CM Jagadish Shettar had laid the foundation stone for the 3D Planetarium at Dr Shivaram Karanth Biological Park in Pilikula in March 2013. It was supposed to be competed in two years and yet to open. Mangaluru is the first city in the country to have this facility on par with cities such as Hong Kong, Macau. The Planetarium will have all modern innovations coupled with 3D technology to present students and enthusiasts the best learning experience on Planet. 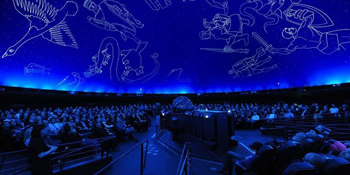 The 3D Planetarium will be the first of its kind in India considering its technical strengths. The Planetarium in Bengaluru is concentric with central projection and circular seating. However, the new Pilikula Planetarium will be of unidirectional with a dome diameter of 18 meters. It is expected to have a maximum of 180 seats. So there is no nee to visit Bengaluru to vist the planetaium in future as we will have one in our city.